A man who says he was the driver in a fatal hit-and-run that claimed the life of a University of Maryland student Friday morning turned himself in to authorities, according to Prince George's County police. Prince George's County police said 22-year-old Cory Hubbard was trying to cross Route 1 near Knox Road in College Park when a dark blue, metallic sedan hit him just after 2 a.m. Hubbard hit a nearby lamppost after the force of the accident sent him into the air. 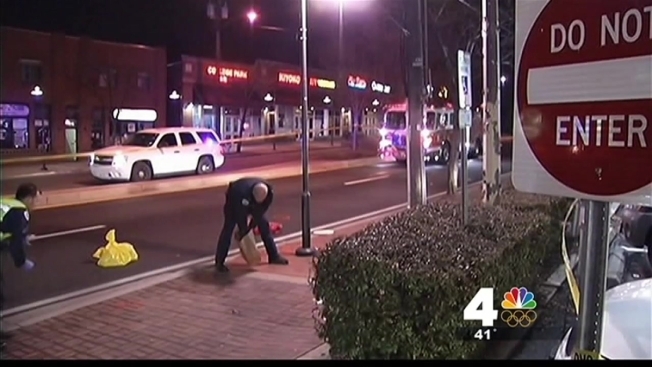 Pedestrian Struck by Garbage Truck in D.C. Prince George's County police are searching for a driver who hit and killed a University of Maryland student Friday morning. No crosswalk is located in the area where Hubbard was trying to cross, News4's Megan McGrath reported. He was walking with at least one other person at the time. Police say the driver drove away from the scene, not pausing to render aid. A man from Cheverly called police to tell them he was the driver and police went to his home and confiscated the car and are searching it for evidence. No charges had been filed as of Friday evening. Police want to make sure the man who called them was in fact the person driving the car at the time of the hit-and-run. “It is with deep sadness that we extend our heartfelt condolences to the family and friends of the University of Maryland student killed this morning in a tragic, senseless accident,” said UMD President Wallace Loh in a statement. Route 1 south was closed while police completed their investigation, but it has since re-opened. Anyone with information that can help should call police at 1-866-411-TIPS. Hubbard is from West Hampton Beach, N.Y., according to Prince George's County police. "I'm really heartbroken," said the Rev. Chuck Cary, Hubbard's pastor at West Hampton Presbyterian Church. "I've known this family for a long time. It leaves a deep, dark hole no one wants to fill." Hubbard was a goalie for his club lacrosse team at Maryland and was on track to graduate in May. A friend who met Hubbard when they were freshman was looking forward to graduating with him. "He was one of the most adventurous people I knew," DJ Alston said. "He's been to New Zealand, he's been hiking, he's been surfing."